Grammy Award–winning percussionist Christopher Lamb has been hailed as a dynamic and versatile performer. Having joined the New York Philharmonic as Principal Percussionist in 1985, The Constance R. Hoguet Friends of the Philharmonic Chair, he subsequently made his solo debut with the Orchestra in the World Premiere of Joseph Schwantner’s Percussion Concerto, one of several commissions celebrating the Philharmonic’s 150th anniversary. He has since performed the work to critical acclaim with orchestras throughout the United States and in 2011 won a Grammy for Best Classical Instrumental Soloist for his recording of Schwantner’s Percussion Concerto with the Nashville Symphony. Mr. Lamb also gave the World Premiere of Tan Dun’s Concerto for Water Percussion, a second work commissioned for him by the New York Philharmonic, and has performed it to rave reviews on the Philharmonic’s tour to South America, as well as in Asia and Europe with such notable orchestras as the London Philharmonic Orchestra, Amsterdam’s Royal Concertgebouw, Leipzig’s Gewandhaus Orchestra, and the Tokyo Metropolitan Symphony Orchestra. In the United States, he has performed the work with the Boston Symphony Orchestra, Baltimore Symphony, and the Pacific Symphony. New York Philharmonic Music Director Emeritus Kurt Masur selected Mr. Lamb’s performance of Tan Dun’s Concerto for Water Percussion for release in the Orchestra’s collection of recordings highlighting his tenure as Music Director. The third commission for Mr. Lamb by the New York Philharmonic, Susan Botti’s Echo Tempo for Soprano, Percussion, and Orchestra, was given its World Premiere by Ms. Botti, Mr. Lamb, and the New York Philharmonic under the baton of Mr. Masur. A faculty member of the Manhattan School of Music since 1989, Christopher Lamb has led clinics and master classes throughout the United States and on almost every continent. In 1999 he was the recipient of a Fulbright Scholars Award to lecture and conduct research in Australia. During his five-month residency at the Victorian College of the Arts in Melbourne, he presented master classes and seminars titled “A Comprehensive Examination of Orchestral Percussion,” which has grown into a model for the art of teaching percussion. In 2010 Mr. Lamb was invited to join the faculty of the Royal Conservatoire of Scotland as an international fellow. Mr. Lamb has recorded chamber works on the New World, Cala, and CRI labels, and his Grammy Award–winning performance of Schwantner’s Percussion Concerto is available on the Naxos label. Christopher Lamb is a former member of The Metropolitan Opera Orchestra and Buffalo Philharmonic and a graduate of the Eastman School of Music. THE FACTS: Born in Sandusky, Ohio; grew up in Flint, Michigan. Attended the Eastman School of Music and received a Fulbright Scholar Award to lecture and conduct research in Australia. Prior to the Philharmonic: The Metropolitan Opera Orchestra; Buffalo Philharmonic. At the Philharmonic: Joined in 1985. 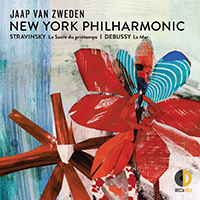 Solo debut: World Premiere–New York Philharmonic Commission of Joseph Schwantner’s Percussion Concerto. Most recent recording: Tan Dun’s Concerto for Water Percussion on New York Philharmonic Special Editions set. Current teaching post: Manhattan School of Music. EARLIEST MUSICAL MEMORY: My parents buying me a snare drum in the second grade and getting me private lessons. I was really energetic and playing on everything. I guess they wanted to direct that energy. WHY DID YOU CHOOSE PERCUSSION? My parents directed my choice. I soon appreciated the variety and almost endless array of instruments — anything from a marimba, xylophone, vibraphone, orchestra bells, chimes, and crotales (antique cymbals) to triangles, tambourines, castanets, cymbals, and a bass drum. WHAT WAS THE HARDEST INSTRUMENT FOR YOU TO FIND? A bidoni. It turned out to be a plastic garbage can turned upside down. WHEN DID YOU KNOW THAT YOU WANTED TO BE A PROFESSIONAL MUSICIAN? In seventh grade. I knew I wanted to do something with music after attending Interlochen National Music Camp. WHAT IS THE MOST DIFFICULT ASPECT OF YOUR JOB? Being both a performer and an administrator. I mark music, study scores, and purchase and repair equipment. MOST MEMORABLE MOMENT WITH THE ORCHESTRA: Premiering Joseph Schwantner’s Percussion Concerto. The audience and Orchestra reactions were amazing. HOW DO YOU PREPARE FOR CONCERTS? By keeping in shape physically. Otherwise, you can’t move from one instrument to the next. ARE THERE MUSICIANS IN YOUR FAMILY? My wife, Virginia Perry Lamb, is a pianist; my older son, who is 15, plays guitar; my younger son, 12, is learning jazz piano.